Do You Have £770 Spare For The Cost Of Christmas? The total cost of Christmas will amount to an average of £767 per adult this year, new research has revealed. American Express revealed that 66% of adults want to keep their costs at a similar level to past years, while 19% of Brits plan to cut back. Those that do plan to spend less want to have bills that are £178 lower than last festive season which may mean spending less on presents, hosting or celebrations in general. 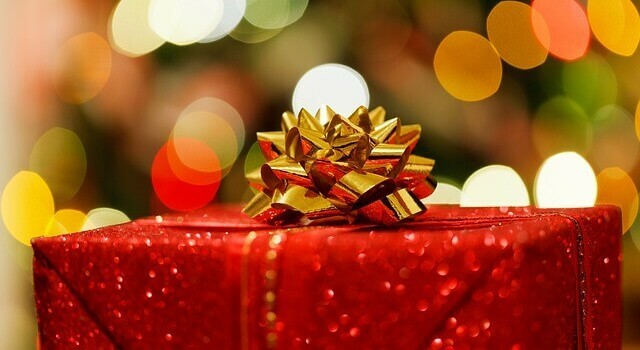 Managing expenditure has seen 60% of people spread the costs throughout the year by purchasing gifts at any point, rather than immediately before Christmas day. One third of Brits look to take advantage of retailer offers such as ‘buy one get one free’ and large sales deals such as ‘Black Friday’ and ‘Cyber Monday’. Meanwhile more than a quarter admit they have agreed a spending cap on present buying in order to prohibit expensive gifts. Some 71% of Brits also claim to have some sort of budget in place for festivities while 31% will use loyalty cards and reward schemes to save cash. This will save them roughly a tenth of their average outlay this Christmas, providing that the offers are used at the right times. Many people are set to keep a tight hold on their purse strings this Christmas, while savvy shoppers will look to take advantage of any rewards on offer. The main part of the Christmas spend relates to gifts and presents for friends and families, spending an average of £424 each. A further £146 will be spent on hosting friends and family while a little under £200 goes on festive treats such as attending parties and the Christmas panto. There are many ways to reduce costs as Christmas looms, provided that others are willing to take a similar approach. Turning to handmade creations can reduce spending on ornaments and decorations while also providing a more personal feel. Secret Santa is a great way to add a little excitement to the festive season while also making people think imaginatively for their gifts. Using online searches and social media can also help you find great deals in the run-up to the festive season, as some retailers will look to provide seasonal specials and deals. The key to managing Christmas effectively is to plan ahead – grabbing special offers on gift-wrap and cards, for example, could help save on next year’s costs.